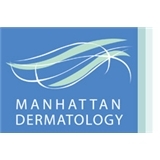 Manhattan Dermatology (New York) - Book Appointment Online! We strive to deliver the highest quality of care to patients with skin disorders in a discreet and compassionate setting. We offer general dermatologic care and cosmetic services. We provide comprehensive skin cancer treatment, from total body skin examination and diagnosis, through the curative surgical treatment. The visit was great, highly recommended! If you demand the best, this is the one for you! I filled out some paperwork when I arrived and was seen < 5 minutes after I finished it. Dr. DeFelice was very personable and easy to talk to and assured me that my acne issues were normal and treatable. She gave me a couple of prescriptions and thoroughly explained what each would treat and how to use them. Overall I was very happy with how my appointment went. I think I finally found my dermatologist! Highly recommend.